HOPE (Health Oriented Preventive Education) is a Karachi based NGO providing services of health and education for the poor and needy in Pakistan. It was established in 1997 and has grown from a band of street volunteers to a huge national network of schools, hospitals and vocational centers. HOPE-An NGO in Pakistan does not focus on only one aspect of life, in fact, it believes in integration and aims to provide quality education and health with vocational training and community development to the underserved. HOPE believes in educating the masses along with vocational training so that with education, they can also acquire skills to get better job opportunities. HOPE has also taken initiative in community development by providing underprivileged masses with resources like livestock and seeds to plant. HOPE and Metro Cash & Carry have a long lasting bond in giving people relief. Director of Metro Cash & Carry Mr. Parvez Akhter visited HOPE Hospital Gurumandir. He was welcomed by Dr. Mubina Agboatwalla along with her team members. 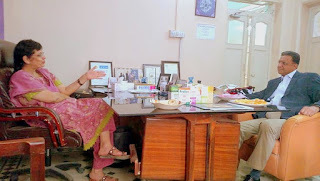 Mr. Parvez was pleased to know about the life long journey of Dr. Mubina Agboatwalla-A Child Specialist in Karachi how she managed to work for social welfare on a large scale as well as practicing in her own field. 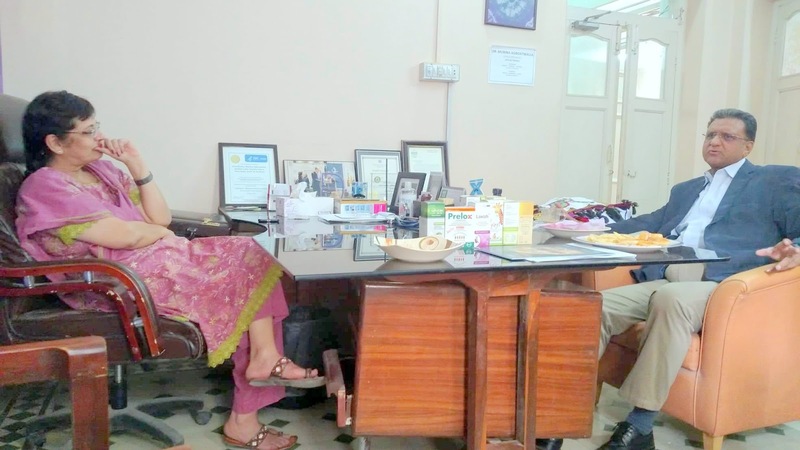 She is also a pediatrician and Head of the Department of Pediatrics at Sindh Government Hospital, Liaquatabad. She has not only been excelling in health sector, she has also outreached to the remotest underprivileged areas of Pakistan. They further discussed about the projects HOPE has been working on. The meet up was meant to look forward to the projects that could be worked together. As per the aspiration behind the establishment of HOPE, she told that among all the types of health services she chose primary health care as her target. This could provide basic health facilities in those rural areas where there is no other way to get access to healthcare. She wanted to bring change in the thinking of local masses through education. This is how sustainable change can occur at grass root level which is what HOPE is aiming at. Dr. Mubina Agboatwalla further explained him how HOPE has been playing its role in community development by creating awareness in the underprivileged areas. Mr. Parvez took a detailed tour of the HOPE Hospital Gurumandir. 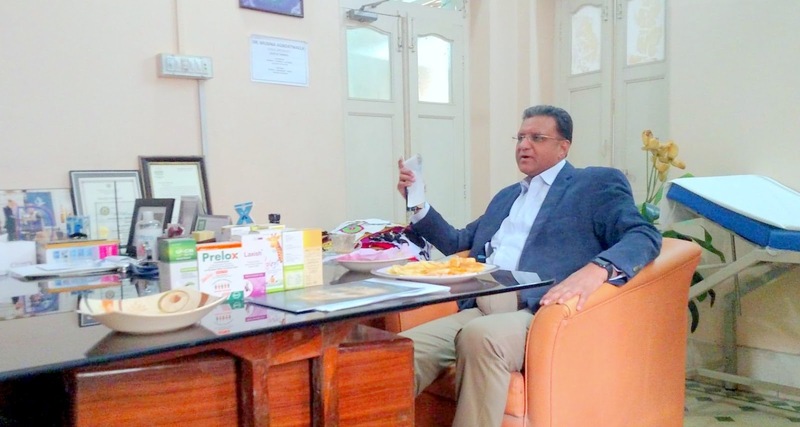 He appreciated the efforts of HOPE-A Health NGO in Pakistan in delivering quality healthcare services to the socially deprived, that too free of cost. He showed interest in various projects HOPE has set its foot on. He looks forward to collaborate in some of the health and education programs HOPE will be implementing in the future. HOPE appreciates the sense of corporate social responsibility Metro Cash & Carry has as a corporation contributing towards a better society. HOPE - an Educational NGO in Pakistan is making every effort in eliminating the illiteracy rate in Pakistan; HOPE is continuously striving its best to provide education for all especially the underprivileged masses. Hence most of Hope’s educational centers are located in the slum areas of Pakistan where there is lack of schools. HOPE- an NGO in Pakistan not only focuses on academic activities but also gives great emphasis on extra-curricular activities, which includes taking children on field trips, exhibitions, fun fares concerts etc. The children living in slum areas do not get the opportunities to visit these fun places. Recently the Family Educational Services Foundation (FESF) hosted its 14th Children’s Benefit Concert at PAF Museum, Karachi. The concert was a free benefit musical show and fun morning for children with special needs. Approximately 4000 children from over 40 different institutions and schools all over Karachi were invited for this concert. The students of HOPE school Zia colony were also invited to this fun filled event. The goal of this program was to provide an entertaining and memorable experience to the children who need special care, love and encouragement. 20 students from HOPE Zia School were invited at the FESF concert; they were accompanied by two representatives from HOPE’s head office, along with 2 teaching faculty members from HOPE School Zia Colony. FESF is a non-profit, educational organization carrying out its services in Pakistan since 1984. Its mission is to enhance the quality of life for all members of the society, especially those who are disabled. TV Host Faizan Haqqee launched the 3 hour event which featured exciting live performances by special guest artists Fuzon and Shazia Khushk. Additionally, a mime artist Muneeb-ur-Rehman and a blind singer Rahat entertained the children with fun and meaningful performances. The students of HOPE School Zia Colony were thrilled to watch all the performances held at the FESF annual concert. The event was well organized. Great attention was given to the special children being served. At the end of the concert FESF served complimentary snacks, drinks and distributed goodie bags which brought a rise in the emotions and excitement of the Zia School students at the concert. Dr. Mubina Agboatwalla- a child specialist in Karachi looks forward to welcome any such organization which helps in providing an amusing and experiential activity to the children who need special care, love and encouragement in Pakistan. HOPE – an NGO in Pakistan has always been striving since its establishment for the betterment of society. From education and health to research projects, HOPE is always up to something that can contribute in the wellbeing of society. However, there are many entities that have been helping HOPE with its mission. One of them is Government of Japan which had funded HOPE to establish formal schools in Karachi, Thatta, Muzaffargarh and Muzaffarabad. HOPE’s Chairperson Dr. Mubina Agboatwalla-A Child Specialist in Karachi is pleased to be working with the Embassy of Japan which never fails in providing a helping hand in the eradication of illiteracy. The Japanese embassy and HOPE have a very robust and everlasting bond. Recently the Consul-General of Japan in Karachi, Toshikazu Isomura invited HOPE team to attend a grand reception at Pearl Continental Karachi to celebrate the 85th birthday of His Majesty Emperor Akihito. Around 500 guests, including renowned parliamentarians, government officials, prominent diplomats, academics, business and corporate executives, as well as media personnel attended the occasion. The Consul-General of Japan in Karachi Isomura, wished His Majesty the Emperor and the imperial family continued health and happiness. He also shared with the guests that His Majesty Akihito, who has ruled over Japan since Jan 1989, is set to abdicate his throne on April 30, 2019, after ruling for over 30 years. He thanked Pakistan for strong bilateral ties that bind the two Asian countries together on cultural and economic activities, and invited the guests to visit Mr. Isomura’s home town, Osaka, which won the rights to host 2025 World Expo recently. The honorable gathering present at the occasion praised the Japanese government’s support in all related sectors of developmental growth within Pakistan through strong assistance and grant schemes. The Consul-General of Japan in Karachi also made a small but heartwarming speech in Urdu. He and his wife known for their hospitality kept formalities to the minimum, cake cutting and playing of national anthems of Japan and Pakistan, a lovely cuisine, including both Pakistani and Japanese dishes, turned out to be a matter of extra delight for guests. The event incorporated many traditions and Japanese elements, including ikebana and bonsai displays. HOPE-An Educational NGO in Pakistan, diligently tries to provide education to all, especially the underprivileged masses. Thus most of HOPE’s programs are focused primarily on the rural and urban slum areas of Pakistan. HOPE looks forward to continue its efforts with more passion in the future. Help and support from the Government of Japan will always be commendable in the implementation of these plans. Those who celebrate the day of birth of Prophet Muhammad (P.B.U.H.) do it because they feel happy and when it comes to happiness, Islam wants the followers to spread it as much as possible. In addition to fulfilling the Sunnah of Prophet Muhammed (P.B.U.H. ), by giving charity a Muslim ensures that those who also wish to celebrate this day as a joyous occasion also have access to the means of joy. It is also necessary that they celebrate it in the same spirit of kindness as they do on the day of Eid. Considering the significance of Eid Milad-un-Nabi (P.B.U.H.) the day was observed at different centers of HOPE in Karachi and Thatta. The objective of this celebration was to pay homage to the Prophet Muhammad (P.B.U.H.) for his greatest and divine services to Islam and mankind. All colleagues from the various centers of HOPE were invited over to attend the occasion together. They seemed very happy about the idea of promoting Islamic teachings in this way. Students of different formal and informal schools run by HOPE-An NGO in Pakistan were also invited. The occasion started with the recitation of the Holy Quran. Students and staff whole heartedly presented Qaseeda Burda Shareef which was so breathtaking that it touched the depth of the hearts. HOPE’s women employees of different centers also participated and shed light on the Prophet Muhammed’s life, sayings, teachings and philosophies. Stories and incidents from his life of morals, such as forgiveness, kindheartedness, bravery, wisdom, honesty, and lovingness, were quoted. It was pleasure to see the enthusiasm of students and staff, as they recited Naats with full devotion. HOPE-An Educational NGO in Pakistan tries to create opportunities to promote the talent hidden in these underprivileged children as well as inducing religious spirit in them. Milad was the perfect occasion to let these students show their respect for our beloved Prophet (P.B.U.H.) through recitation of Naat and Durood o Salaam. Famous Naat khuwans were also invited to recite Naats in their beautiful voice to increase the feeling of devotion. The way they presented the Naats enthralled the audience. The Milad concluded with a special “Dua” made to heal the pain of all Muslims and ease their hardships. The “Dua” ended with best wishes for the progress of HOPE so that it will continue its efforts with more enthusiasm to serve the poor people in Pakistan under the leadership of Dr. Mubina Agboatwalla-A Child Specialist in Karachi. Delicious snacks and sweets were distributed among the guests at the end of Milad.